A special meat rub blend of herbs, seasonings, kosher salt developed specially for steaks and beef. Rub on both sides of meat and let stand in refrigerator for at least 1 hour or longer, then cook as desired. Naturally tenderizes and will be the best flavor you have every tasted!. 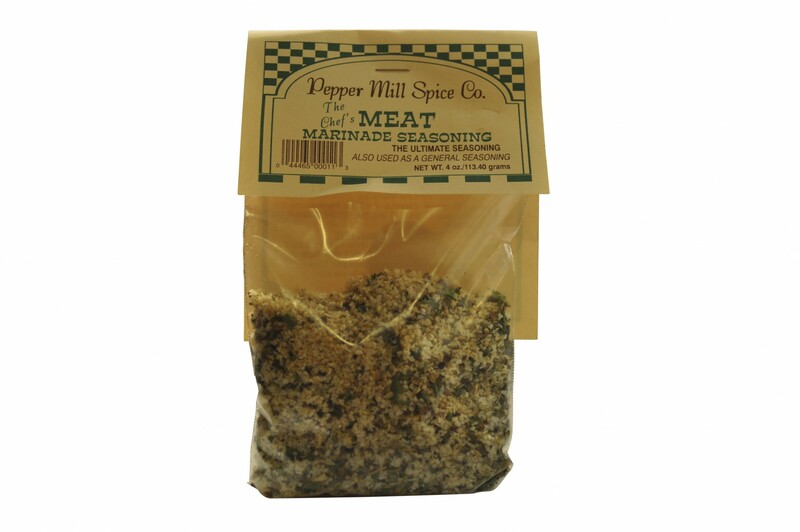 A special rub blend of seasonings made specially for beef. Rub and let meat marinade 1 hour or preferable overnight in refrigerator. Mouth watering tender! You can use this in hamburger when making patties, chili, goulash, spaghetti or any beef dishes you are cooking. It is also great to put in your water when boiling pasta or vegetables. Try it as your main seasoning. One of the Chef's greatest products!